I can’t tell you how many times I’ve heard horror stories about artists using unsanitary practices. I have personally seen other artists double dipping mascara... lipsticks... cream eyeliner (just to name a few) on multiple clients. The problem is, most clients either don’t know what proper sanitation techniques a Professional Makeup Artist should be using or they are too scared to say anything. Unless your artist is going to give you that mascara tube, they should not be using that mascara on you unless it is used with a disposable mascara wand. Any cream products including foundations and lipsticks should be properly scooped out with a spatula. There are many Instagram and YouTube "artists" who use the same Tarte Shape Tape and LA Girl Pro Concealer applicators on the same clients over and over again. This is a big NO NO. Do you really want the same product applied on you as it was on at least 15 other people? Once these products have been double dipped they are no longer good to use on a client. I always carry a spatula and a palette in my kit which is cleaned off between clients. Clean and ready to go! As a Professional Makeup Artist, it is our responsibility to keep our kits clean. We are in contact with so many clients on a regular basis, if we do not properly clean our makeup and tools, clients are subject to things like acne, pink eye, the common cold, flu, cold sores, and so on. A lot of artists spot clean between clients – which is completely fine! One thing you need to make sure is that the brush bristles must be properly saturated with the brush cleaner before actually cleaning the brush. A fine mist of brush spray just doesn’t cut it for cleaning your brushes. For me personally, I have a ton of makeup brushes so that I am not cleaning in between clients. I simply don’t have the patience to clean my brushes between each client. I wash all of my brushes after each booking with soap and water and spray with 70% alcohol once it’s dried. When working on clients, I NEVER mix my dirty and clean brushes. I always separate my brushes this way I am also never using the same brush on different clients. Make sure your artist has disposables such as lip and mascara wands. Also things like q-tips and extra makeup sponges are essentials in a Professional Makeup Artist’s kit. If your “artist” does not have these items or does not practice any of these sanitization practices, these are HUGE red flags. One other sanitation issue I see a lot of artists doing is blowing on false lashes to have them dry faster before applying it to the client’s eyes. This is so disgusting I cannot even tell you. I would not even blow on my own lashes before applying them myself. The bacteria and germs from your mouth should say enough… If your artist does this please them know this is inappropriate and unacceptable. I can only hope this blog has created awareness for you and you now have a better idea on what to look out for when working with a Professional Makeup Artist. Until next time my Beauties! What Products Do I Use in My Kit? 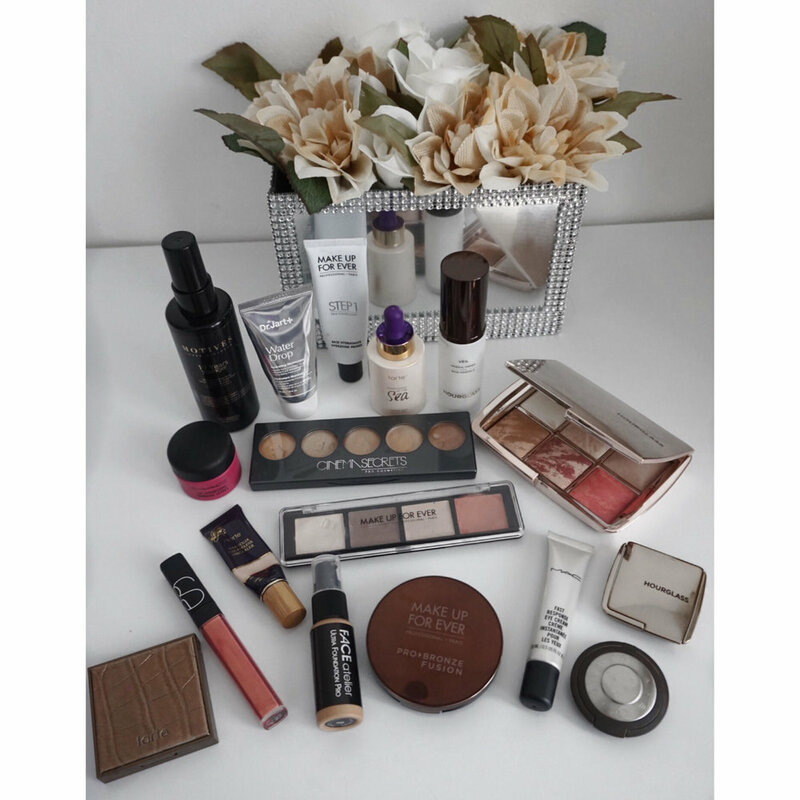 One of the questions I get asked the most is, what products I use in my makeup kit. For eye shadows, I have been loving the Violet Voss Pro Holy Grail Palette! It has been my go to for most of my clients especially my bridal clients. For matte colors, the Tartelette Amazonian Clay Palette has been my go to for both subtle and more dramatic looks so I love the diversity the palette gives. This isn't a list of all the items in my kit however this are my go-to's on pretty much any booking. Although I do have some MAC products in my kit (which is the number one question I get asked, ALL THE TIME), I prefer to be diverse in the products that I choose and offer higher end products which clients would not typically buy on their own. I am interested in trying some out some more luxury makeup products in 2018 and upgrading my kit. I’d love to know what some of your must-have’s are. Leave a comment below and let me know! 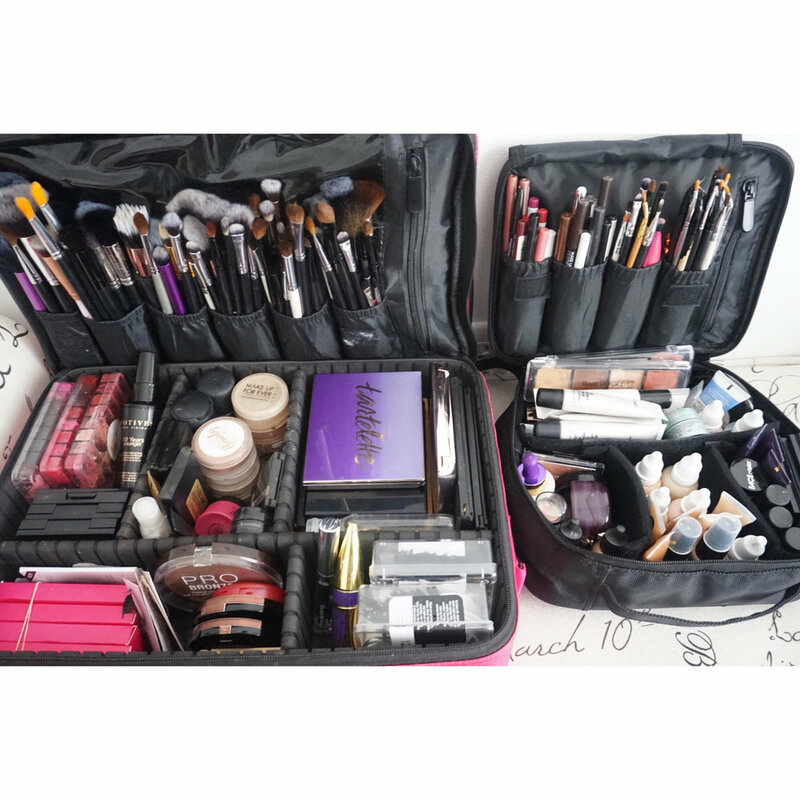 Another thing that is truly important to me in making booking flow easily is how I pack my makeup kit. I consider myself to be a very organized person so functionality is a must for me. It didn't take me overnight to get to this kit (which I am super proud of!). This has taken much trial and error.